Pinterest has become my virtual filing cabinet. I used to struggle with holding on to Internet links for a later date. From scraps of paper to notebooks, to endless tabs and favorites on my computer, no system was working. In walks Pinterest and boom! I now have a photo rich filing system for all things Internet linked! One of the things I have been collecting for later (and now) is links to everything high school and teen related. Homeschooling a freshman in high school has brought me to new places and required me to stretch myself to find information and resources. 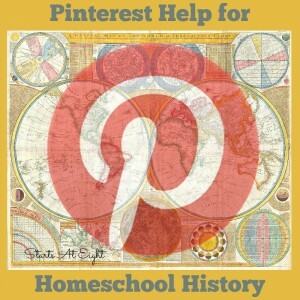 Now I offer to you my Pinterest Help for Homeschooling High School. 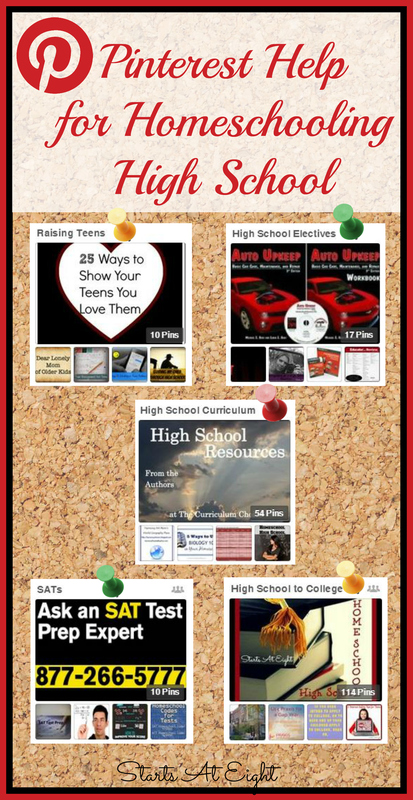 This is the very first high school related board I started about a year ago when I was really beginning my research to homeschool my first teenager. It is a group board which means there are more people than just myself Pinning the helpful high school things they find. Raising Teens is a new board I began to encompass the more heart side of parenting. The things that come up with our teens that is not so school related. From encouragement to relational tips, management and more. 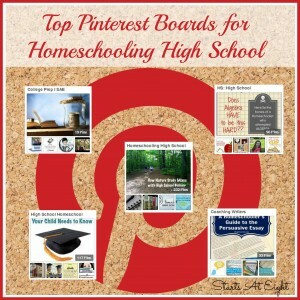 The more I find related to homeschooling high school the more I realize that I need to narrow down my Pinterest boards. This High School Curriculum board has anything curriculum related that I find. From specific years, to general subjects, tips for finding curriculum, etc. I have spent a significant amount of time researching options for High School Electives. While I found things like math, English, History to be easier to wrap my head around, I was concerned about how we would go about and what we might choose to fulfill our elective courses. From posts like how to go about choosing electives, to language, car maintenance, photography and more. This board is all about how your high school aged teen may fulfill their elective course hours. This is an older board like my High School to College board, and is also a group board so there is more than just mean adding SAT goodies here! Oh I love these links. I have started to follow a few as well. My girl is in grade 10 this year and it has been a bit of a challenge. FYI I am also talking about Pinterest today. 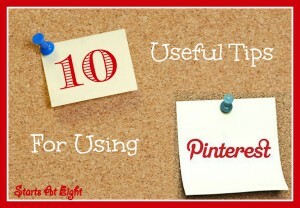 dirtdiva17 I have found Pinterest to be a great way to organize and keep track of all the things I want to look at and consider along the way. It is my virtual filing system! Saving this for sure! We are just getting ready to start homeschooling high school. 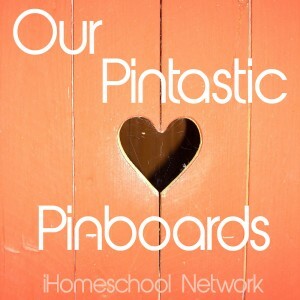 Thanks for sharing at the Finishing Strong Link-up! Thanks for posting! My daughter is heading into grade nine, so I’m trying to get myself organised for high school – these links are really helpful. So glad they can be of help to you!